I’m sure that all of you, my faithful readers, have been eagerly awaiting the next installment in the series “Denver Has a Smokin’ Hot Creative Science Communication Scene.” Your wait has ended! 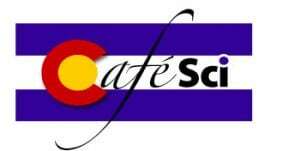 Today is the day we talk about Denver Science Cafe! To be clear, there isn’t, actually, a small restaurant called the Denver Science Cafe that serves American bistro food, has a decor of local artists’ renderings of double-helix motifs, and hosts open-mic nights featuring singer-songwriters performing sad ballads about their unrequited love of isotopes. I dearly wish that that theme-performance were the case, as is it with the Denver Bicycle Cafe. I would be there multiple nights a week. The DSC doesn’t even have its own premises. Much like America is a country of ideals and laws that manifests itself on this continent because, well, it has to be somewhere, the DSC is a concept that materializes in the Blake Street Tavern, because, well, it’s there and the fries are good. Unlike the United States of America, the DSC only happens periodically. 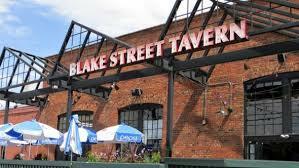 Much like North America, the Blake Street Tavern exists all the time. People have long been interested in complicated material. Most of us just can’t quite hack the difficulty of actually becoming experts in anything much beyond what it means when the baby cries “like that.” Maybe this is because we have babies and not spare time. Anyway, for those of us who are not experts but are nonetheless interested, showing up to hear actual smart people talk about the things they know really well is the closest we get to expertise. The Cafe Scientifique, predecessor to the DSC, started in 1998 as a scientific-topic emulation of the Café Philosophique, where laypeople would gather to hear a philosopher discuss their ideas. As the name implies, the Cafe Scientifique takes the same concept of public exposition and applies it to scientists instead of philosophers. It also applies large quantities of booze. The Denver Science Cafe is the latest and local iteration of this discourse tradition. The Blake Street Tavern (“We’re always here!”) opens its doors. You go through them and order a drink at the bar. A bunch of other science-curious folks also arrive. They order drinks, too. One guy orders a hamburger and it looks amazing, and so twenty other people order burgers, too, except that one dude who ordered nachos, which also look pretty good. Another round of drinks is applied. Repeat this until everyone is socially lubricated. After everyone has acquired a digestive patina of delicious grease and a social patina of delicious drinks, the evening begins for real. The DSC organizers invite a local scientist to come speak at some length (it varies, depending on the topic) about their topic of expertise. We then take a break for some more drinks. After the drinks, the group reconvenes for a Q&A session with the expert and a general discussion amongst everyone. Everyone is free to ask a question or offer an insight or opinion, provided that the discourse remains civil and reasonable. Conversation is usually lively and varied, but friendly. You might wonder how the DSC differs from the other science communication programs, like Nerd Nite and Science Riot, that I’ve talked about in this column. For starters, this format is strictly scientific. Nerd Nite welcomes any type of nerd-based discussion, from the hard-science of astronomy to the geekiness of video game evolution. DSC is a narrower focus. Also, unlike Nerd Nite, DSC also does not allow PowerPoint or visual aids. So, if you want something visual and unexpected, check out Nerd Nite. 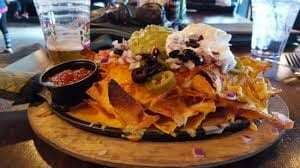 If you want strictly science and nothing to distract your eyes from your nachos, head to DSC. To compare it with Science Riot, DSC is not funny. It’s not even trying to be funny. It’s interesting and certainly science-topic based, but finding a joke there would be an uphill work. It also does not offer any training in public speaking or technical communication. Science Riot is not just an event series, but an outreach training program, too. So, if you want to hear comedy and learn how to do it, too, head to Science Riot. If you want a full dinner while you listen to an engaging traditional exposition, DSC is your game. When you take these three programs together (Nerd Nite, Science Riot, and Denver Science Cafe), I reiterate my point: Denver has a rockin’ awesome creative science communication scene happening and I hope that all of you will indulge yourselves in the fun and learning that it offers. The next chance to see the DSC in action is coming up quick! 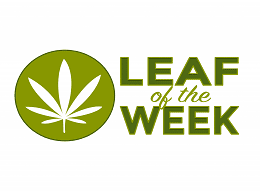 In fact, this week! It happens on Wednesday, August 29th, starting at 6:30pm. No tickets are required…you can just attend in person at the Blake Street Tavern in LoDo. (Shout out to my bicycle-commuter friends: this is a great event to cycle to, since driving/parking in LoDo can be challenging. If you’re not a regular bicycle commuter, this is a perfect chance to try it out! Bring your bike on the light rail from more-distant points and coast up to VIP doorstep bike parking.) Everyone is welcome to this event: “You don’t have to be a braniac…just curious and thirsty.” I recommend arriving early, since this is a popular event and the house is often full. I also recommend the Honey Chipotle BBQ Sandwich…the crunchy slaw makes it light up your mouth like your neural circuits when you hear a truly interesting scientific fact. If you play the evening right, your cerebral cortex will be ignited for hours. Enjoy!